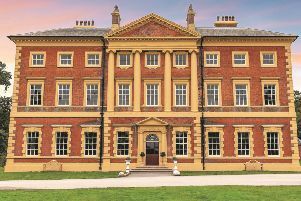 Lytham Hall played host to a visit from a stunning collection of antique vehicles on Monday, June 19, when the North West branch of the Veteran Car Club pulled up in the gardens. More than 25 cars came trundling up the driveway and parked up on the East lawn, to the delight of visitors. The drivers enjoyed a tour of the Georgian hall and a lunch on site. The Hall is a regular stop on the club’s runs.